We are available whenever our clients need us. We offer live-in, hourly, and overnight care. 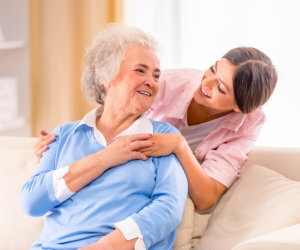 Whether your loved ones need caregivers to render services on a live-in basis or need someone to assist with their needs at night, AT-HOME CARE SERVICES will be there. We offer live-in care for those who require extensive assistance with their day-to-day lives. With this type of care, a caregiver will stay in your loved ones’ home to provide the necessary help they need. If your loved ones live with you and do not need live-in care, then we can provide them with hourly care during the times you have to leave them by themselves at home. This can give you an assurance that they are being well taken care of while you are busy with your job and other responsibilities. We also offer overnight care. This type of care can benefit those who, for instance, need help going to the bathroom or getting a glass of water during night time. It does not matter how long or how often your loved ones need our assistance. What AT-HOME CARE SERVICES focuses on is providing them with quality care, no matter what the circumstance may be. Call 860-232-6126 for more about our live-in and overnight care and other Home Care Services in West Hartford, Connecticut.